The "okay" hand signal is a demand-response signal in scuba diving. The "Problem" or "Not Okay" signal is made by rotating a flattened hand side to side. The diver should then point to the source of the problem with a an index finger. In this photo the diver communicates and ear problem. The surface "Okay" signal (top and bottom left photos) and the surface "Problem" or "Help" signal (bottom right). 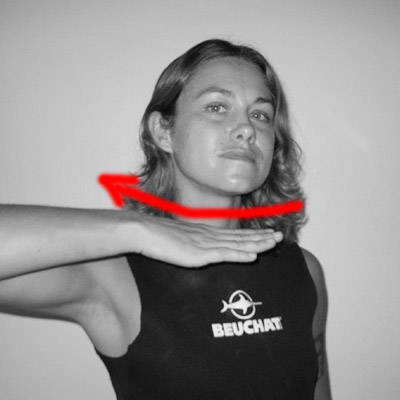 "Up" or "End the Dive"
The "Thumbs-Up" signal communicates "End the Dive" or "Let's Go Up" in scuba diving. The "Thumbs-Down" Signal in scuba diving communicates "descend". 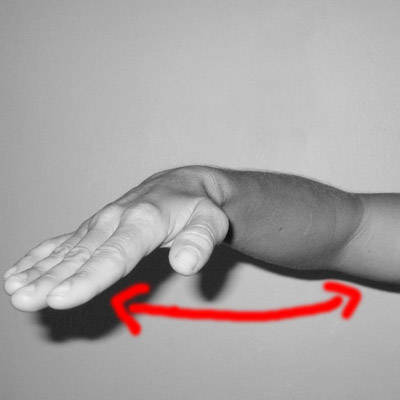 The slow down hand signal for scuba diving. Two hand signals that communicate "stop" -- the "stop" signal on the left and the "hold" signal on the right. "Look at . 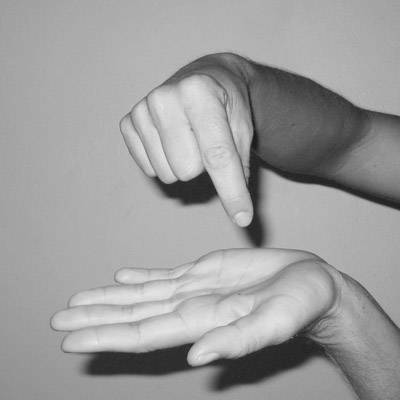 . ."
A diver signals "Look at" by pointing two finger at his eyes and then indicated the object to be observed with an index finger or thumb. Here, we see the sign for "Look at . . . me!" (upper right) and "Look. . . over there!" (lower right). A diver indicates a direction of travel by pointing with all five fingers of a flattened hand. 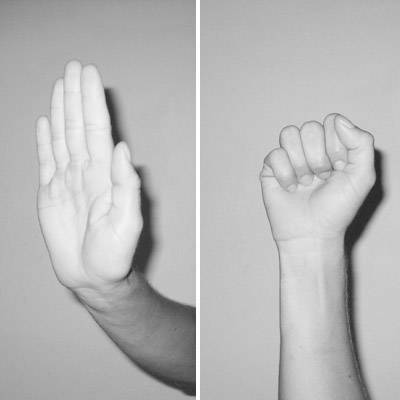 The "Come Here" hand signal is used to call divers together. The "Level Off" hand signal communicates "maintain this depth". 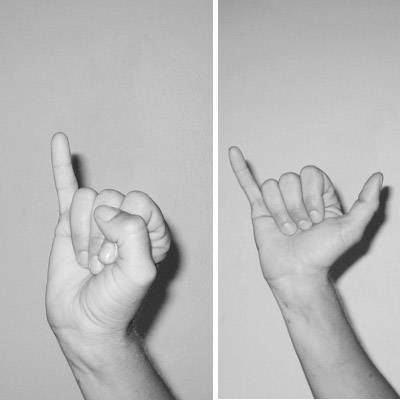 "Buddy Up" or "Stay Together"
The "Stay Together" or "Buddy Up" hand signal for scuba diving is made by placing two index fingers side-by-side. 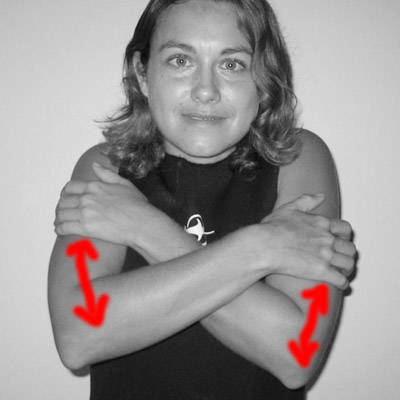 The "Safety Stop" hand signal for scuba diving. 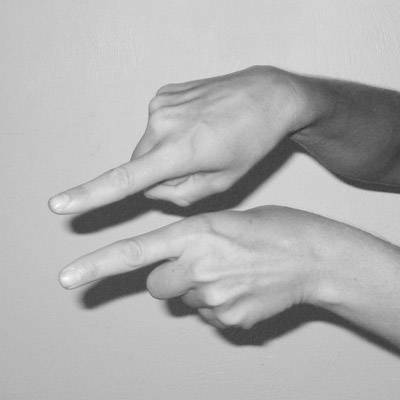 Two different way to make the "Deco" or "Decompression" hand signal. "Low-On-Air" by holding a closed fist against his chest. to indicate that the diver has been "cut off" from his air supply. as if the diver were attempting to warm himself. 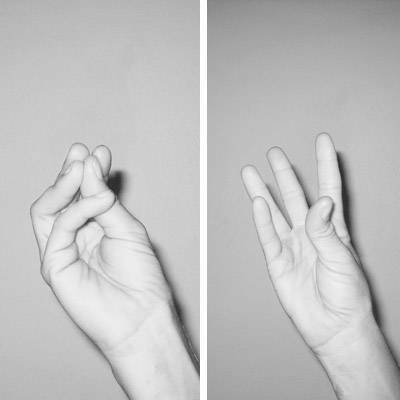 The "Bubbles" or "Leak" hand signal is made by open and closing the finger tips. 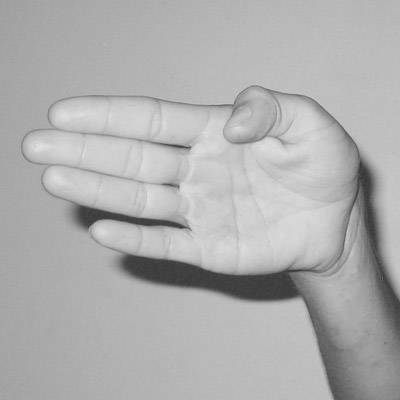 The "Question" signal is made by raising a crooked finger. How to communicate "Write It Down" underwater. [Không...Hợp...Lệ], lolovp, Rumiko365 và 2 bạn khác thích điều này. sao toàn tiếng anh vậy?